Earache Relief For Children - What To Use? 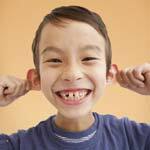 Middle ear infections are frequently painful. The Eustachian tubes allow fluid from the middle ear to drain into the throat. These tubes can become blocked or inflamed. If the fluid does not pass, bacteria can grow. The result is an middle ear infection. When your child is in pain, you want earache relief and you want it fast. About 80 percent of the time, an ear infection cures on its own without medical intervention. The American Academy of Pediatricians and the American Academy of Family Physicians recommend that you wait and see if there is improvement in 48 to 72 hours. In the mean time you will want to provide your child with earache relief. Your doctor may suggest children’s over the counter pain relief medication like Tylenol or Advil. The application of warm compresses to the affected ear also gives earache relief. Ear infection treatment may also include ear drops to reduce pain and antibiotics. Children with chronic or recurring middle ear infections may need tubes to be placed in their ear to allow fluid in the middle ear to drain out. You should take the child to the doctor promptly if severe ear pain is present. If you see pus, fluid or a bloody discharge coming from the ear, seek medical attention. If you notice that your toddler is having trouble sleeping or is especially irritable following a respiratory infection, consult the doctor. If symptoms last more than a day it is also time to get a medical evaluation.